Where Did All the Coda EV’s Go? Ever wonder where the 100+ electric vehicles that Coda delivered ended up? Well, I found five of them in a warehouse in Davis, California. Efficient Drivetrains Inc., a company with plug-in hybrid electric vehicle and continuously variable transmission technology bought five of the Coda all-electric sedans for a China-related project. Full disclosure: I do some business development work for EDI. EDI is doing some other interesting China-related stuff as I discovered when I visited a few weeks ago. It seems all manner of Chinese companies and even research institutes are looking to benefit from the government’s electric vehicle policy. As I discuss in a blog I’ll post after this one, however, some elements of that policy are not very well-thought out. But I digress. EDI’s warehouse is filled with vehicles in various stages of having some form of electric drivetrain or CVT installed. Imagine my surprise to see some familiar faces on the lifts! EDI has been asked by the Dongguan Research Institute to produce some pure electric vehicles that also have CVTs. This research institute, contained within one of Dongguan’s many universities, is surely owned by the local government. Pure electric vehicles aren’t the ideal application for CVTs, admitted the engineers at EDI. A CVT allows a car to change gears without steps, and electric vehicles do that anyway, I believe…. But the Research Institute is the customer, so EDI will install a CVT in the Coda sedans’ pure electric drive, which will add cost. EDI has a cost-cutting strategy, however: Source parts from China. 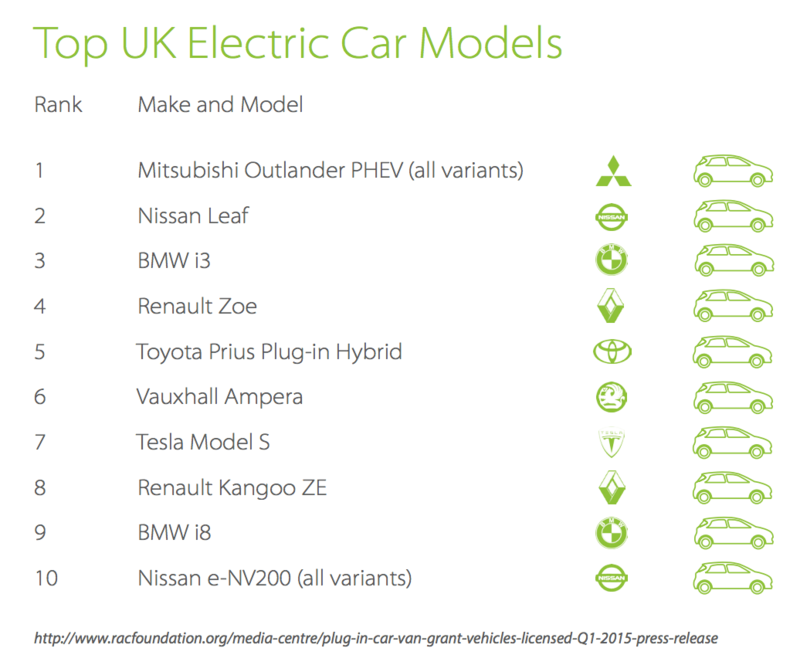 Coda sourced most of the components for original EVs from multinational suppliers. Think UQM motors and Borg Warner transmissions. EDI is replacing those high-cost components with less-expensive components sourced in China. EDI will then add its secret sauce — software and a management system that will make all the parts work together in a superior way. The replacement CVT is from Hunan Jianglu Rongda.Vehicle Transmission Co. On the company’s website is a Chinese saying that, according to Rongda’s English translation says: “Ocean holds precipitation; acceptance makes greatness.” A better translation might be “The ocean accepts a hundred rivers, and that makes it great.” It is a saying that urges tolerance for diversity because diversity produces greatness. I guess that is meant to promote acceptance for a CVT. And it is a play on the characters in Rongda’s name. Rongda is China’s only volume CVT manufacturer. Since its CVT can be bought off the shelf, EDI is using one in the prototype. How good are the Rongda CVTs? “We don’t really know; we have to build one and test,” said Frank. “In order to get real economics (in fuel economy) we (will) have to design a special CVT for this application,” he added. If the vehicle goes into volume production, EDI will design a CVT specifically for the vehicle, either on its own or with Rongda, said Frank. The motor will come from Beijing-based Jing-Jin Electric. The company, founded by a General Motors China alum, supplied motors to the ill-fated Fisker Karma. It produces motors of all sizes for electric vehicles, said Frank. And its motors may show up in the Fisker-based car that Wanxiang produces. Another interesting project in the EDI garage was a Ford F550 truck that is a PHEV with exportable power being produced for Pacific Gas & Electric. In a blog last year, I talked about how exportable power is what PG&E, one of the largest utilities in the U.S., really wants in its PHEV trucks. It can use that power, said Dave Meisel, director of transportation for PG&E, to light up a neighborhood while it does repairs, or during emergencies such as hurricanes when power has been lost. I talked with Meisel recently about the PHEV that EDI is producing for PG&E. It has exportable power, it seems, and a lot of it. PG&E will test it soon. Why has EDI apparently been able to achieve levels of exportable power that others haven’t, I asked Meisel? “It is technology related,” he said. “EDI’s software and onboard management system has done a really good job.” I guess we will know if that proves true in a few weeks as PG&E is planning to test the EDI truck then. China could certainly benefit from some exportable power. Although the brown-outs that were common when I lived in China in 1984, and even when I was there in the early 1990’s, they aren’t so common now. The grid in China is strained, however. Imagine if a fleet of trucks could serve as power plant in a pinch. So that’s what I saw during my EDI visit. I’m still laughing at the Coda sedans. Never thought I would run into them in such a place. And they’re going home! The body came from China, after all, and now the components will, too. Is the fact that such disparate entities – such as a research institute — are looking into producing electric vehicles good news for China? Or is it a waste of resources? Will it produce innovation that doesn’t emerge from the big automakers? That is what China is hoping. The government thinks that by giving non-automotive entities licenses to produce EVs, a Chinese Tesla could emerge. That seems a stretch. But there may be a Chinese Elon Musk out there. In the early stage of an industry, the long term may seem like it’s too far away. 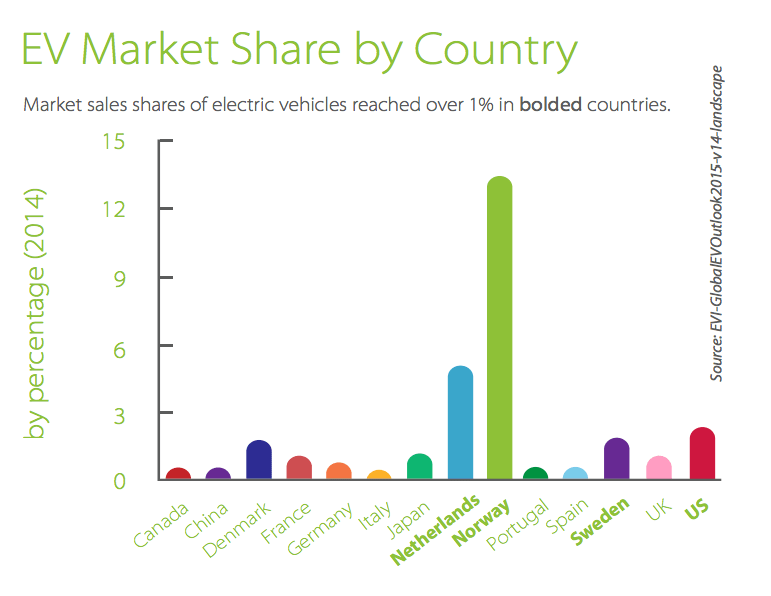 Penetration of electric vehicles (EVs) has not yet reached levels where it is displacing significant market share from conventional gas-powered automobiles, in spite of the popularity of EVs in some regional markets around the world. A recent move intended to inspire further EV adoption, announced in a blog post by Tesla CEO, Elon Musk, to “not initiate patent lawsuits against anyone who, in good faith, wants to use our technology,” seems to be quite popular so far. While this is a noble and well-intentioned move, unfortunately, this thought process represents a widely held misconception about intellectual property: that it is only a legal matter, rather than a commercial one. Patents are not just about hitting the ‘litigation lottery’ as Mr. Musk put it. Patents are the codification of innovation and they represent the investment of time and effort from the innovative and creative people who have their names on them. Making the investment in intellectual property protection in the first place presumes that you are willing and able to enforce your rights. …too often these days [patents]serve merely to stifle progress, entrench the positions of giant corporations and enrich those in the legal profession, rather than the actual inventors. I choose not to be so cynical about the process of protecting innovation and intellectual property rights (IPR). While many things are inefficient about the patent and trademark protection process, we live in a time when IPR are more respected around the world than they have ever been, notwithstanding the specific cases of misuse which we have become aware of in recent years. Simply put, IPR create jobs and shareholder value for the companies that invest in innovation. The legal profession around protecting and litigating IPR has arisen because of the increase in innovation, not because of a desire or need to line their pockets at the expense of companies who misappropriate the IPR of a competitor. “Open sourcing” one’s patent portfolio reduces the ability to obtain value in return for that investment in innovation. There is also value in holding a portfolio of IP assets on a diverse set of technologies because IPR creates a mechanism by which you can cross-license your technology and that IPR in case litigation comes your way, even if you don’t intend to initiate it. Perhaps the big carmakers aren’t fully embracing EVs yet, but they certainly have the resources at their disposal to overwhelm Tesla if they wanted to. Interestingly, Tesla doesn’t seem to understand another important aspect of IPR, which is that IP litigation between practicing entities only typically arises when their market share is encroached upon. I suppose that if Tesla were making more of a dent in the car market, they wouldn’t be forced into this type of public relations stunt. The timing of this also affords us the opportunity to discuss another widely held misconception about intellectual property, which is that there is more to IPR than just patents. Typically, being first to market with a product in a new niche market matters more than having the most patents on that technology. The inevitable action of competition that has the resources to invest in competing with an early market leader will be to duplicate their technology with improvements of their own in an effort to replicate the market leader’s commercial success. Great News for those interested in your company’s technology! Can you please back up this press release with actual details/procedures? Can you please direct those that are interested in practicing your company’s patented technology a contact where they can receive a royalty-free, perpetual license to practice your company’s technology, as the release suggests? No company will start [to]willfully practice another company’s technology without assurances they will not be sued (a press release does not cut it). Can you have your IT folks upload a perpetual, royalty free license like the one above, signed by you, so that it can be easily downloaded and signed by companies that want to practice your patented technology? Can you specify which patents you are actually talking about? Does this mean all of Tesla’s patents? In any country? The spirit behind this press release is great. Now, we need details. Thank you again for such a generous thing that you are doing. I, and others, look forward to seeing how you are actually going to get this done. IPR precludes duplication of one’s technology by competitors. Even if I don’t have Tesla’s drawings, if I have engineering and financial resources, I can still reverse engineer what they’ve done and improve upon it at a potentially faster rate than Tesla can innovate. If Tesla is informing their competitors they will not enforce their IPR, how do they expect to effectively deter competition from penetrating the market with potentially better technology than theirs in the future? Savvy companies tend to study the IPR of their competitors and spend time and resources designing around or improving upon the current state of the art. Tesla’s move does address one of Mr. Musk’s pain points in that it will lower the commercial barriers to competition in the EV market, rather than using proprietary rights to “stifle progress” in the industry. However, giving away key aspects of your technology without a license fee inherently diminishes your investment and makes it easier for your competition to leapfrog you. So, when the EV market does take off, Tesla’s competitors will be in a better position to gain commercial advantage and more market share than Tesla. Tesla will still be a takeover target, given their entrenched position commercially and technologically, but with a significantly lowered valuation resulting from this move. Tesla has been involved in several lawsuits and state legislative efforts to enable the company to have direct sales of their cars to consumers. The car dealers in many states are of course unhappy because it undercuts their ability to generate sales revenue since they are bypassed by Tesla. Providing a royalty-free license in their patents will exclude Tesla from preventing their sub-component suppliers to directly sell spare parts to consumers or independent repair shops. This will bypass Tesla and curtail its ability to generate aftermarket and services revenue. Since the EV market is immature and Tesla’s fleet of cars is relatively new, one can presume that this consequence was simply a strategic oversight on behalf of the company. The move may garner some good PR value and potentially achieve greater market penetration of EVs and Tesla EVs, but it lacks foresight. Tesla is a company beyond Elon Musk, and the passion and dedication of hundreds of employees and investors who made the commitment to work with the company in the early days deserves recognition and reward resulting from the commercial success of the company. This noble attempt at changing the paradigm of technology development in a key industry of the future is ultimately short-sighted for Tesla, unless it has commitment from its competitors that they will follow suit and open their portfolio of IPR to the industry as well. The open source software industry has been successful over the past 25 years because there was a community of companies who all agreed to play by the same rules. So far, only Tesla is playing by these open source rules, and it appears unlikely that other major automakers would be willing to follow their lead. Unfortunately, we don’t all live in the world of Gene Roddenberry’s Star Trek where money has been abolished and people want for nothing because nobody wants more than what they really need. But until we achieve that utopian paradise, if I were a Tesla employee, I’d be furious right now that my company will be less valuable in the future than it could have been. If Mr. Musk would be willing to redistribute his wealth to the employees and investors who made the commitment to create value for the company in the first place, then this move to open source their patents during the formative stages of the EV industry might make more sense. Article by Philip Totaro, Founder & CEO of Totaro & Associates, a consulting firm focused on innovation strategy, competitive intelligence, product development and patent search. To find out more, or get in touch please visit www.totaro-associates.com. Will the requirement that 30% of municipal government purchases of new energy vehicles in the most recent Chinese government’s policy result in a mismanagement of resources? It will if automakers adopt BYD’s strategy. The Chinese electric vehicle manufacturer is building plants all over China to gain customers. While the strategy may grow BYD’s sales both locally and globally, it could result in a massive waste of what is apparently dwindling capital. And as BYD’s missteps here in California prove, it may also sap a lot of BYD’s human capital as it works to resolve problems. I started thinking about this as I read a story in Automotive News China regarding BYD’s plan to assemble buses in the central China city of Wuhan in order to convince the Wuhan government to buy BYD’s K9 electric bus for its local fleets. This strategy is wrong on several levels. BYD will spend 3 billion yuan, or $480 million at current exchange rates, to build the plant, according to Chinese media. It will initially produce 1,000 K9 buses and, in a second phase whose cost was not revealed, it will assemble other BYD electric vehicles. Selling to the Wuhan government is a challenge. The city is home to Dongfeng, one of China’s largest state-owned automakers (the former Third Auto Works). Dongfeng is China’s largest producer of medium- and heavy-duty trucks. It just announced a partnership with Volvo to produce commercial vehicles. And it partners with Nissan and PSA to produce passenger vehicles. And, of course, Dongfeng has an obligatory Dongfeng EV Co. subsidiary. According to its website, Dongfeng EV Co. produces hybrid electric buses as well as a range of small low-speed EVs and a tiny passenger EV. But I’ll bet it will start turning out plug-in hybrid electric vehicles, or battery electric vehicles, in the future as the central government pressures local governments to boost purchase of EVs. Why not produce those vehicles right in Wuhan so the money stays at home? BYD may argue that the latest new energy vehicle policy from the central government requires at least 30% of such purchases be from automakers outside of the area and having a plant in Wuhan makes it the most likely company to grab those sales. Is that worth a $480 million bet? If Wuhan were the only city where BYD has employed this strategy, it might be worth it But Wuhan will be the sixth city in China where BYD plans a bus plant. According to the press report, BYD also has agreements with Changsha, Nanjing, Tianjin, Dalian, and Hangzhou to assemble electric buses. BYD is based in the south China city of Shenzhen, where it also produces electric buses, naturally. Will these additional plants merely assemble buses from kits sent from the Shenzhen plant? Probably. Then why not just drive the buses there from Shenzhen? No jobs or investment in the local where BYD hopes to sell buses, of course. Internationally, BYD is also quickly expanding its manufacturing footprint. This is not a bad strategy. But does BYD have the human and financial capital to support this kind of expansion? I am most familiar with BYD’s plans to produce electric buses in the city of Lancaster, near Los Angeles, where I live. That plant, the launch of which I attended in May of 2013, has encountered a series of potholes on the road to selling it buses here in California. Most recently, the southern California city of Long Beach announced it would cancel its contract to buy 10 BYD electric buses because BYD violated a California Labor Commission law in producing the buses. This was not the first problem for the Lancaster plant, however. In July of 2013, cracks appeared above the rear door in a BYD bus undergoing federally-mandated tests. The cracks were a result of faulty welding at the plant in China where the bus was produced, said BYD. “There were no major design flaws discovered. However, there were some minor findings that we wanted to evaluate and review,” said Michael Austin, vice president of BYD America. In November of 2013, BYD was hit with a $99,245 fine from the California Labor Commission for allowing workers to take one 20 minute break rather than two 10-minute breaks. BYD was also charged with under-paying some Chinese employees. The under payment charge was later dropped; the labor fine was reduced to $37,803. None of these problems derailed BYD’s Lancaster plant plans. But they delayed the launch are costing BYD time and money to fix. Will they be repeated in other countries? BYD is also expanding its manufacturing footprint in other parts of the world. In 2012 it announced it would build electric buses in Bulgaria. It has also talked of plans to build a plant in Brazil and in Europe. It might seem as if BYD has endless funding to build all these plants. That is not the case. The Hong Kong-listed company is raising money through stock sales. In late May it raised 3.4 billion yuan in its largest stock sale since the company’s 2002 initial public offering, according to Bloomberg. Says Bloomberg: “The funds give Shenzhen-based BYD room to step up investments and bolster production of electric vehicles as governments worldwide step up efforts to fight pollution. Selling shares will also help alleviate the strain on a balance sheet saddled with surging debt. BYD is betting that its electric vehicles will be its future. Meanwhile, sales of its gasoline-powered vehicles have plunged, along with its profits. In the first quarter of 2014, BYD’s profits were down 89 percent. BYD also engages in other “green” industries, including solar panels, LED lighting, and batteries. To be sure, profits did surge last year after BYD reduced its auto dealership network and reduced losses at its solar business with the help of government incentive money. That is not a sustainable growth plan, however. BYD’s belief that electric vehicles are the future may pay off. But building plants all over China and the world is a dangerous way to back up that belief. Andrew (Drew) Johnston is the first person to win the Austin Under 40 (AU40) award in Energy & Clean Technology. Drew is Project Manager at Austin Energy’s Central Texas Fuel Independence Project (CTFIP), a public-private partnership supporting market adoption of plug-in electric vehicles and natural gas vehicles. Congratulations Drew! CleanTechies: Prior to living in Austin you were Chief of Staff to the economist, Jeremy Rifkin, where you advised on energy and climate policy at the highest levels of the European Union, and worked on large projects in grid modernization, renewable energy, energy efficiency, research and development, and technology commercialization. What inspired you to come to Austin? Drew: I was initiating huge leaps of technology and human capital taking place across Germany, Portugal, Netherlands, and the rest of the EU. Meanwhile in DC, no one I knew even understood what a “grid” was. This was 2005-2007, and I would wonder why I was helping the EU surpass the US day after day, year after year. I realized I needed to shut down my executive level work and produce meaningful results in the US as quickly as possible. I approached the decision both objectively and instinctively. On the objective side, I was accepted into UPenn, UNC, Ohio State and UT for grad school. Only Austin offered the worlds’ best utility, top-flight research institution, and the open hearted, creative and collaborative spirit that makes this place so special. I knew that I could find meaningful employment here after grad school, and help my community be a model for the rest of the country. On the instinctive side, I moved to Austin to get back to my grassroots, activist nature. I think people would be very surprised if they knew how legislation is passed, how other utilities identify their goals, and how Fortune 500 companies scuttlebutt good innovation that changes peoples’ lives. Working at the top of the decision making chain in the EU opened my eyes a lot. And Austin is different. My neighbor says, “People don’t know how weird Austin is, until they move somewhere else.” My influence circle includes everyone from college-aged skaters to boardroom executives – I can’t get that exposure to the full range of real people that make up a community any better anywhere else. CleanTechies: The oil and gas industry was the fastest growing industry in Austin from 2007 to 2012 bringing 16,000 jobs and adding $2.7B to the local economy. Now clean technology is taking the lead in Austin bringing 18,000 jobs and adding $3.2B to the Austin economy. How is the work you are doing at Austin Energy’s Central Texas Fuel Independence Project helping achieve Austin’s clean technology industry’s growth? Drew: Let me ask you, if Tesla chooses Central Texas as the home of the worlds’ first Battery GigaFactory, how important will it be for our region to be masterfully proficient in advanced vehicle technologies? That’s billions of dollars, thousands of jobs, and a promise that families across our region that have a better future in store. We need human capital – training, tools, and resources that adequately equip our regional workforce, academic groups, and industry with the skills and abilities to drive the next generation of advanced energy and vehicle technology. Austin Energy measures a lot of things, but we don’t have a measure for “lives touched”, but if we can work together and get our region proficient in working with electric batteries and natural gas tanks, we have a leg up on every region that doesn’t. That’s my cause right now. I’ll add this: In working with academia, auto industry, electric and natural gas utilities, chambers of commerce, governments, state regulators in transportation & energy and public safety interests, CTFIP is building our regional proficiency in advanced vehicle technology. We have established a model of leadership for US communities to create actionable and forward-thinking EV and NGV policies and initiatives. In one year of existence, CTFIP is emerging as the go-to source of education, training and resources for car owners, dealers, fleet managers, property owners, first responders and policy influencers shaping the future of EV and NGVs in a 10 county region surrounding Austin and San Antonio, and serving over four million people. CleanTechies: People hear about many ideas but what are practical first steps people can take to begin to utilize this technology? Test-drive an electric vehicle. 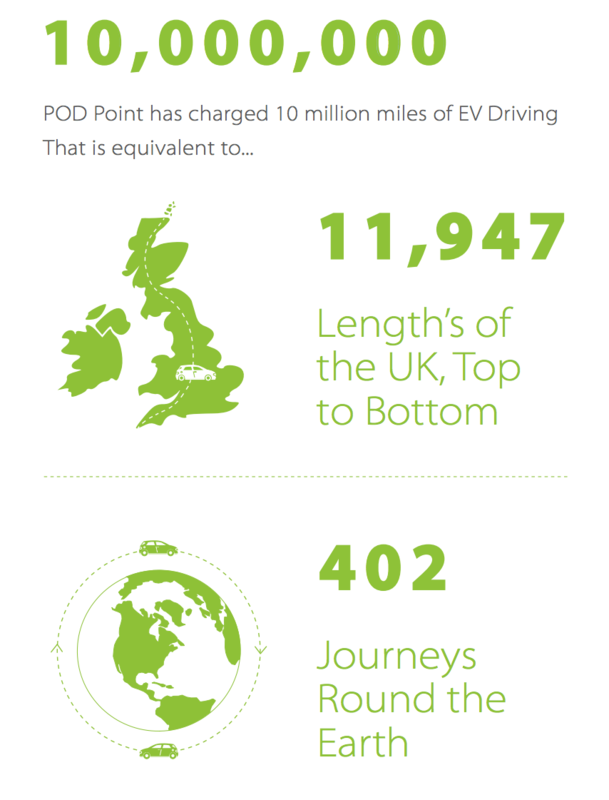 Understand why EVs have the highest customer satisfaction ratings. The most forceful, fact-based defense of EVs I can give is to simply say – try it yourself. The biggest deterrents to natural gas vehicle adoption for fleets is training, renovation of the maintenance and fueling site, and cost. - training: CTFIP is partnering with local community colleges and training associations to develop curriculum and continuing education programs that address the specific needs and requirements for EVs and NGVs. Look for new course offerings from Austin Community College in the upcoming 2014/2015 school year. - renovation of maintenance and fueling site: Railroad Commission and State Fire Marshalls are more than glad to speak with fleets on how to adequately prepare there fleet yards for conversion to Natural Gas vehicles. - cost: Texas Commission on Environmental Quality is offering $400k-$600k incentives to support the construction of NGV fueling stations. If you rent but you want an EV, contact your property owner. 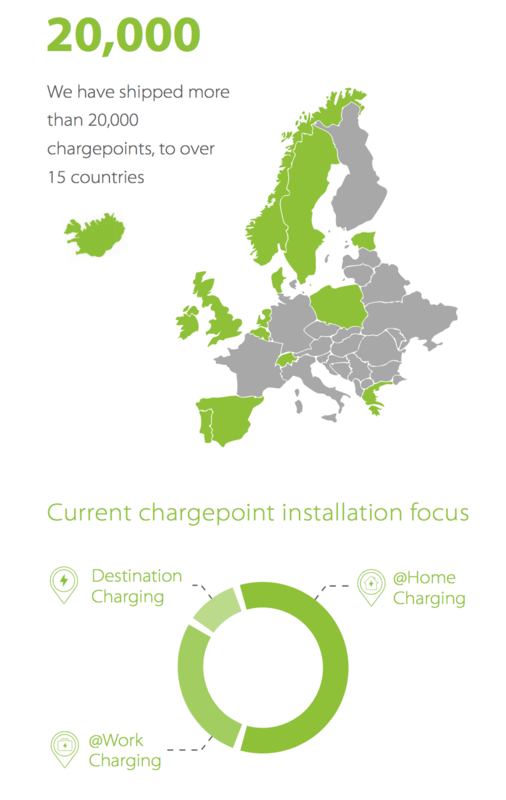 CTFIP is partnering with local multi-family properties to accelerate the installation of public EV charging for this rapidly growing market. Visit the APP or site for Chargepoint – the national EV charging network – is advertising that Austin Energy has the best rebates program in the country. Check out our website and learn why! CleanTechies: How are you making it real in your own life? What is your favorite clean tech tool in your toolbox at home, at work or app on your phone? Drew: Allow me to promote some technologies and companies that I admire, and I personally am inspired by. I am very active in our own clean energy community – we have an organization called CleanTX Foundation that is the glue that keeps our community close – across academia, government and industry. Groundswell is a group based in DC that have worked with faith-based organizations to aggregate avoided load, and sell those ‘negawatts’ on the grid. This revenue is then divvied up among the faith-based organizations and that money is put toward energy efficiency and weatherization efforts, thereby reducing costs and increasing comfort at places of worship. HEVO Power – a company that is developing in-motion wireless charging technology that can be installed in roads. Such technology would eradicate the need to stop to refuel… that’s a game-changer. By now, many of you may be aware of license plate quotas as a means to reduce the growth of the number of vehicles on the road as well as pollution. In China, major cities like Beijing and Shanghai have used license plate auctions for a number of years. In Shanghai, the cost of a license plate can cost nearly $15,000. In an effort to stimulate the electric vehicle market, Shanghai exempted Chinese made electric vehicles from the license auction. Now, it has been confirmed that Shanghai will exempt foreign made electric vehicles as well with one caveat. The exemption only applies to the first 3,000 electric vehicles sold by a manufacturer. Once an automaker reaches 3,000, it must seek the approval of the Shanghai government for additional exemptions. News of this exemption was confirmed in Tesla’s Q1 financial statement release. How soon will foreign automakers reach the 3,000 limit? Only time will tell. Official deliveries of the Tesla Model S start next month and may provide a good indication, especially in light of the cost of the car in China where it ranges from 734,000 to 852,500 yuan or 121,000 to 140,000 USD. Suppliers and automakers are being forced by the Chinese government to take a leap of faith where electric vehicles are concerned. That is what I came away from Auto China thinking. The companies are investing millions of dollars to supply and produce EVs in a country where the market for such vehicles is currently tiny. They don’t have much choice – Beijing is leaning on them very heavily to do so. Many of those companies are keeping their fingers crossed that Beijing will pull some policy rabbit out of its hat to incentivize regular hybrid as well as electric vehicle sales, thus adding to the market for their products. They also are also hoping Beijing will compel local governments to build out of charging station networks, without which there is little chance of a consumer market for EVs taking off. An example of such investment: Siemens AG announced at the show that it had formed a joint venture with Chinese automaker Beijing Automotive Industry Holding Co. (BAIC) to produce components for electric vehicles. Siemens holds 60 percent of the JV, which will start with small volume production this year at an existing Siemens plant in China while building a greenfield plant near Beijing, due to start production in 2015. No amount for the investment was announced, but it must be the equivalent of at least US $100 million. “We believe in a new energy future, not just for pure electric vehicles but hybrid as well,” Jorg Grotendorst, CEO of Inside e-car, part of the Drive Technologies Division at Siemens AG told reporters gathered in a tent outside one of the giant exhibition halls at the Beijing International Exhibition Center. He was part of a group of Siemens executives that had come to China to announce the formation of Beijing Siemens Automotive E-Drive Systems Co. Ltd., as the JV will be known. It will produce “highly efficient” inverters and motors for hybrid and battery electric vehicles, says Siemens. I asked the execs how they saw the market panning out in terms of BEVs versus PHEVs versus hybrids. Siemens didn’t know, said Grotendorst, but it believed PHEVs would be the interim technology. They said Siemens is interested in BEVs and PHEVs (and hybrids as well judging by Grotendorst’s remark) and would supply BAIC, its initial customer, with power-electronics and electronic motors for its S, C, and L series cars. However, the JV would start by supplying commercial vehicles, said an executive. Indeed, the plant’s components represent a hedging move on Siemen’s part – the performance scale of the models BAIC will use the components in ranges from 45 to 200kW says Siemens. Despite hyperbolic plans by the Chinese central government regarding electric vehicle production and sales, and incentives for BEVs and PHEVs, sales have thus far been miniscule. In 2013 sales of battery-electric vehicles in China were 14,604 units according to the China Association of Automobile Manufacturers. Plug-in hybrid sales were 3,038 units. The total vehicle market was nearly 22 million. 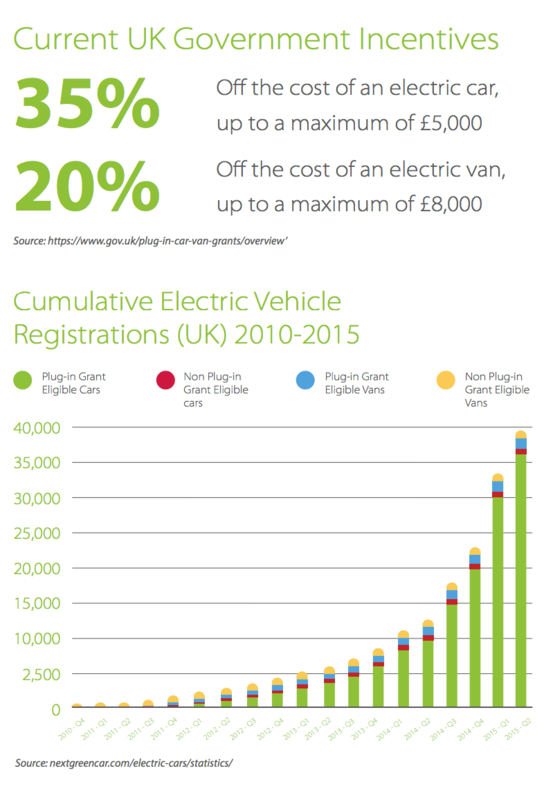 Most of those BEV and PHEV sales were likely to government fleets, which would include local bus and taxi fleets as those companies are generally owned by the local government. Siemens is right to place its near-term hopes in an expansion of PHEV sales, however. The charging station network in Chinese cities – even in Beijing, where you would think the government would try to set an example – is abysmally small. As my friend and former colleague Yang Jian pointed out in his column in Automotive News China, at the end of 2013 Beijing had only 69 charging stations. Yang, too, figures that PHEVs will be the most-utilized type of EV in the near term despite the fact that central government subsidies for BEVS are as high as 57,000 RMB (not counting local subsidies) and PHEVS only 33,500 RMB. China recognizes that until battery costs come down and/or range comes up (which are linked since you can get a lot of range if you are willing to pay for it…) – and when that will occur is uncertain — a PHEV, which offers some pure electric range combined with an engine that runs on some liquid fuel, will be the most useful form of EV. Suppliers recognize that some form of electrification is in China’s future. China has strict fuel economy deadlines looming in the future – the most intimidating the 2020 deadline for 5 liters per 100 kilometers. “This is a huge challenge for everyone right now,” David Xu, EVP at Bosch China, told me at the show. Indeed, it is not impossible to achieve that without some form of at least mild electrification. Bosch sees gasoline technology that boosts fuel efficiency — such as gasoline direct injection and turbocharging — as its biggest business opportunity in China in the near term. But it is also pushing its 48V mild hybrid system, which includes start-stop and a booster for starting and can boost fuel economy by 15 percent, says Xu. EVs is tied to reducing pollution, much of China’s electricity is produced by burning coal so more EVs won’t necessarily have much impact on air quality. Cars are a convenient and visible scapegoat, however.) Nor is it currently incentivizing regular (i.e. non plug-in) hybrid cars. The Japanese hold too many patents in that area and Beijing doesn’t want incentive money to go to the Japanese automakers. Meanwhile, Xu says new energy vehicles, which includes BEVs, PHEVs, and fuel-cell vehicles, won’t account for more than six percent of the market in 2020. Beijing’s inaction on building out a charging network – or even enforcing a national plug standard – is part of the problem, says Xu. “Talking about mass production to make a profit, it is really a struggle for everybody,” he says. Of course the individual consumer isn’t the only customer for EVs. Indeed, as I have written in this blog many time, fleet vehicles are the best market for both BEVs and PHEVs. Siemens recognizes that fact. It will start by supplying commercial vehicles, says Siegfried Russwurm, CEO of Siemens Industry Sector. As for the charging station issue, and the lack of standards where that is concerned, “The future is wireless,” he says. Sales of electric vehicles are gradually growing in the US. 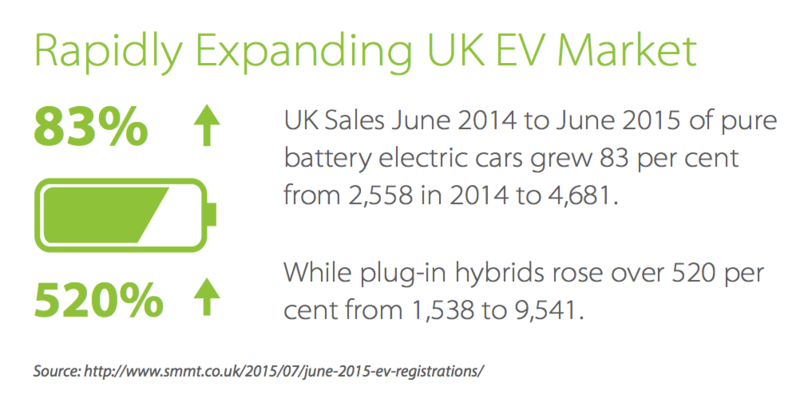 In 2012, 52,000 EV’s and plug-in hybrids were sold. That number grew to over 95,000 in 2013 and sales during the first quarter of 2014 have outpaced the same period in 2013. Growth is expected to continue as automakers will have to meet a fleet-wide average of 54.5 mpg by 2025, though consumers will see numbers closer to 36 mpg on the window sticker as the EPA uses a different method for window stickers, according to Jessica Caldwell, senior analyst at Edmunds.com. While growth in this sector of the auto industry is all but assured, challenges ranging from raw materials to technology to infrastructure remain. Each one of these areas presents unique challenges to the industry. 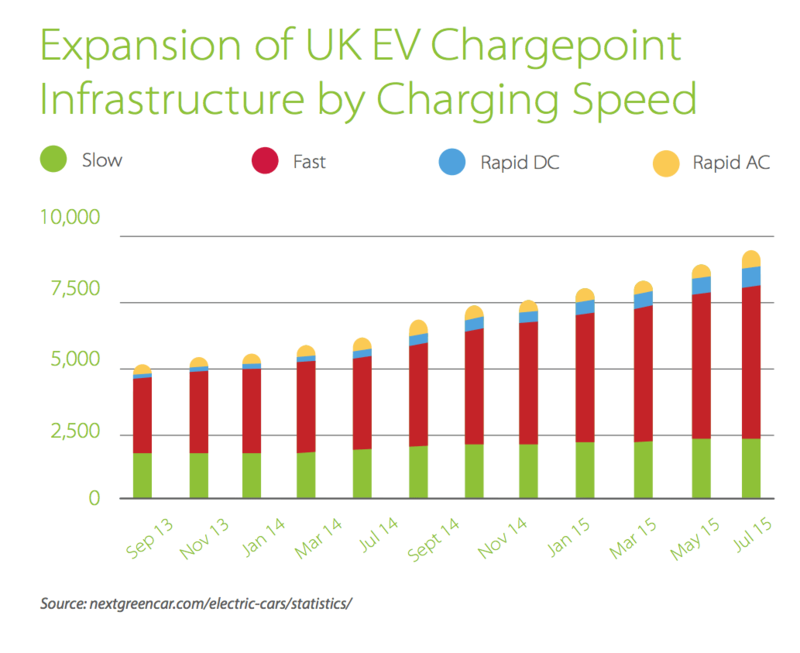 In a recent discussion with Mike Tinskey, head of vehicle electrification at Ford, we touched on a wide range of topics regarding the EV and plug-in hybrid market. Tinskey was in San Diego for a quarterly meeting of the California Plug-in Electric Vehicle Collaborative, a group whose members include automakers, utilities, government bodies, and various policy institutes. While other automakers have been developing platforms that are EV/plug-in specific, Tinsky noted that Ford is committed to offering consumers the power of choice, meaning Ford can leverage existing platforms for multiple types of vehicles. For instance, with the Ford Fusion, you can have your choice of the traditional internal combustion engine, hybrid, or plug-in hybrid. During our conversation, Tinskey noted that cities like San Diego where there has been a shift in recent years to high-rises and multi-family housing, EV charging infrastructure has become a big issue. No longer can you simply drive into your garage and plug-in. With high rises and multi-family housing, you might have to work with property management or the homeowner’s association (HOA) or both to obtain the necessary charging infrastructure. This can be a big hurdle in getting consumers to buy EV’s or plug-in hybrids. HOA’s may initially be reluctant to install charging stations that only benefit one or two of the homeowners. The underlying thinking may be that this is only a benefit to one or two, so why should the HOA pay for it. That thinking misses the point, which is homeowners and prospective homeowners are asking for this infrastructure now. Absent this infrastructure, the long term value and attractiveness of a building may be lower compared to a building that has charging infrastructure in place. What that means is if HOA is reluctant or unwilling to put in charging stations for one or two homeowners, the HOA does harm to the whole community by effectively limiting the pool of prospective buyers in the future where EV’s and plug-ins become more prevalent than they are today. 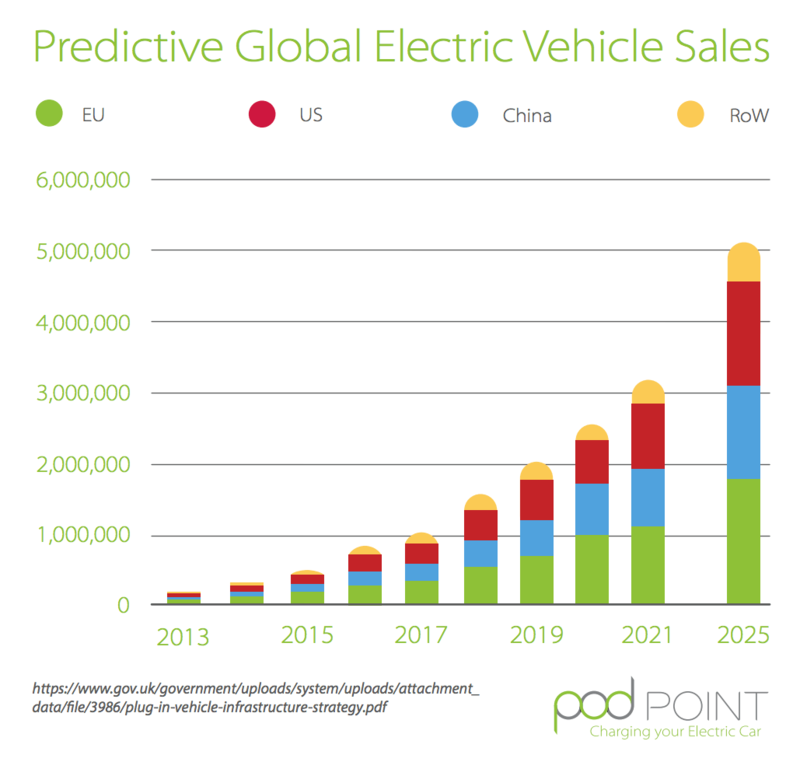 Because of the efficiency standards automakers are required to meet in the future, EV’s and plug-ins will become a greater part of the pool of vehicles available to consumers. Assuming sales of EV’s and plug-in hybrids continue to rise, there will be a larger pool of people who own these vehicles, which means residential buildings which lack the charging infrastructure may lose out. Put differently, if you are a homeowner in a high rise or multi-family housing complex, would you want the pool of prospective buyers to be limited simply because your HOA refuses to put in the charging infrastructure? While in states like California, HOA’s cannot prohibit or restrict the installation or use of an EV charging station. Reasonable restrictions that do not significantly increase the cost are permitted however. Yet, despite this generally favorable law, the overall cost of installing a charging station by an individual owner in these circumstances may be significant and defeat the whole purpose of purchasing an EV or plug-in hybrid. Third party solution providers are out there, but be wary of the monthly “membership fees” that such third party solution providers may charge. These “membership fees” combined with the payment for electricity usage may in certain circumstances be equal to how much one might spend on gas depending on your habits. The solution is for HOA’s to move forward, make the capital improvement that will benefit the entire community in more ways than one. We hear daily about range anxiety, cost of these cars, and national and local infrastructure. These are all valid challenges the industry faces. Yet, as our living habits shift towards more urban environments, the challenges in dealing with HOA’s are brought to the fore and may be the most difficult challenge yet. Technological innovation will solve range anxiety and cost issues. National and local infrastructure will eventually take hold. After all, it’s possible to drive a Tesla across the country using Tesla’s supercharger network. The real challenge is getting the HOA to say yes to a capital improvement when HOA’s are often reluctant, skeptical, and not very progressive. I wrote the piece below for Automobile and Parts, a Chinese publication. Since I wrote it news came out that the State Grid will allow private investment in charging networks. But no timeline was mentioned. And no news regarding whether South Grid will follow suit. Allowing private investment offers a sliver of hope for Tesla. But as always in China, implementation will be the tricky part. Tesla’s business model – a non-automotive company that has successfully produced and marketed a pure electric luxury vehicle – seems to be much admired by some parties in China. And despite disputes regarding its distribution model with automotive dealers in some states in the U.S., Tesla has sold well here. Based on that popularity, Tesla founder Elon Musk and his representatives in China are confidently predicting that Tesla will sell around 5,000 Model S electric sedans in China in 2014 and as many as 22,000 in 2015. Those sales numbers are based on an underestimation of the difficulties Tesla will face in China, however, and won’t be achieved. Furthermore, Tesla will likely have trouble making a profit in China if the costs and difficulty of building out a distribution network and charging network are considered. First, there is the price of the car itself. Tesla made a big deal out of the fact that it will charge “only” 734,000 RMB for a Model S sedan with an 85 kWh battery. That is the cost of the vehicle plus shipping and handling, customs and duties, and a value-added tax. Tesla’s electric vehicles come with several optional battery sizes; larger batteries cost more but provide more range. A car with an 85kWh battery provides about 300 miles per charge. Tesla says it goal is to make the same level of profit per car no matter where it is sold. Even if Tesla isn’t making more profit, however, the price for the Model S is still more expensive then the majority of luxury cars sold in China. That price is not set in stone, by the way. Tesla will adjust the cost of the Model S in China when the USD/RMB exchange rate fluctuates, according to a Tesla spokesperson. Would someone prefer to buy an electric vehicle, even a Tesla, over say a similarly-priced gasoline-powered Porsche 911? Only a few would. If someone does want to buy a Tesla in China, they first have to find a Tesla store. Tesla’s distribution model relies on company-owned stores rather than franchised dealerships. In the U.S., cars are sold through dealerships owned by individuals rather than the automakers themselves. That has made Tesla the target of a handful of lawsuits here in the U.S. by the owners of dealerships. Those lawsuits claim Tesla violated the state laws governing auto dealer ownership (each of the 50 states in the U.S. has its own auto franchise law.). In China, Tesla may not run into such lawsuits, but will need to build out a nationwide Tesla store network to even begin to reach the sales numbers it predicts. So far, it has one store, in Beijing. Elon Musk has said Tesla will have stores or service centers in six metropolitan areas in China by the end of 2014. Let’s say Tesla succeeds in opening those stores by then. Will each of those stores manage to sell nearly 1,000 units each? Let’s assume they will. To achieve sales of 22,000 in 2015, Tesla will have to quadruple the number of stores it has in China, and each will have to sell nearly 1,000 units each. Elon may find that building Supercharger stations in China will be not only expensive, but very difficult. For one, each station charges at 120kw. “That is more power than an electric bus consumes,” exclaimed an executive working on EV charging networks at a foreign automaker in China. He also asked if Tesla has approval from the State Grid and the Southern Grid , China’s two largest utilities, to construct the Supercharger network. That is, are they willing to provide the power? What’s in it for them? Then there are the Supercharger stations themselves, said the executive. Have they been approved by Chinese regulators? Elon Musk has succeeded when others have thought he would fail, and his self-confidence is well-earned. He founded and sold Pay Pal, an online money transfer service, for $1.5 billion. Musk also founded and still runs SpaceX, a company which designs and launches rockets. In China, however, he may meet his match.